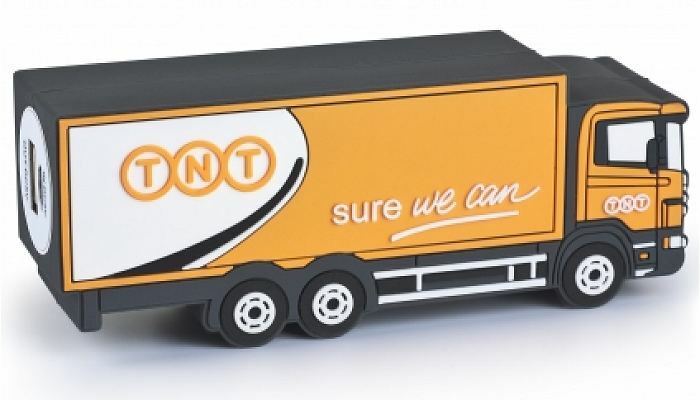 This Truck Shaped Power Bank is an example of a bespoke design and you can have any shape, colour and logo you choose. Suitable for charging mobile phones, tablets, laptops, camera MP3, MP4 and other digital devices. Custom means Bespoke. Send us your shape and we'll turn it into a power bank. What's your shape? A metal branded powerbank charger in 6 standard colours with logo printing in either 2 spot colours or full colour. This top quality branded slim power bank is credit card sized and can be printed in full colour with graphics. Features a pull-out Lightning connector. Plastic 2200mAh or 2600mAh capacity promotional power banks in six standard body colours in a matt finish with logo in 2 spot colours or full colour print. 2200mAh or 2600mAh promotional power stick with transparent plastic casing for printing on the outer surface or on a paper sleeve within.